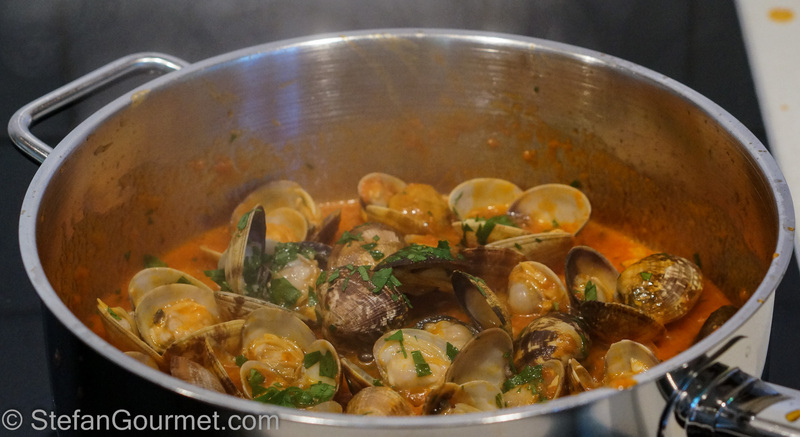 Vongole veraci are Italian clams and they are just so flavorful. The best thing is, they come with their own sauce (i.e. the juices they release when they are cooked) and so it takes very little effort to turn some vongole into a very tasty dish with great depth of flavor. 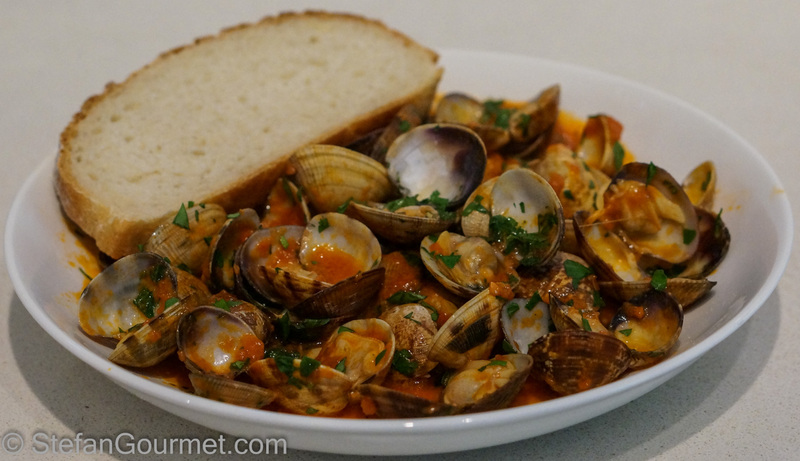 The clam juices blend very well with a simple sauce of tomatoes, garlic, chile flakes, parsley, and olive oil. I made this for lunch the other day and it can’t be beat in terms of flavor for effort. That is, huge flavor, very little effort, and only six ingredients. From start to finish it took me less than 10 minutes to create this dish, including taking the photographs for this blog post! It can also be made with other types of small clams. 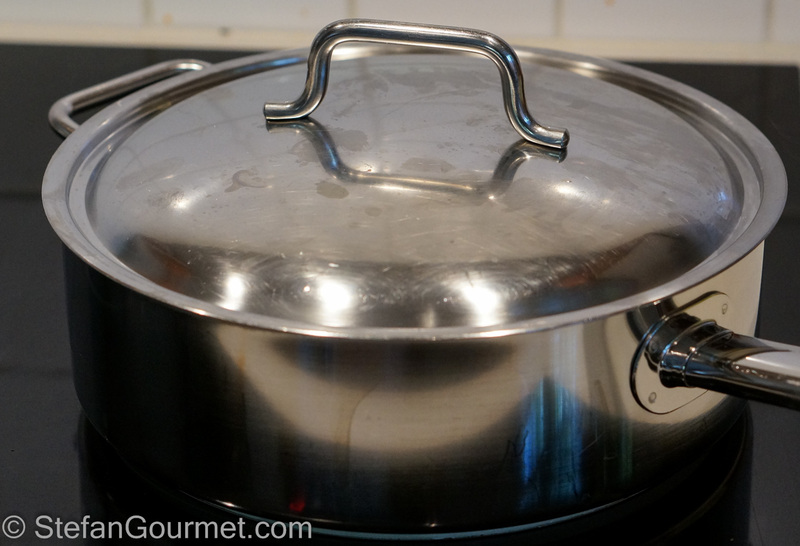 The only thing you may need to do beforehand is to put the clams in salted water (as salty as the sea, 3% by weight) to allow them to purge themselves of sand. 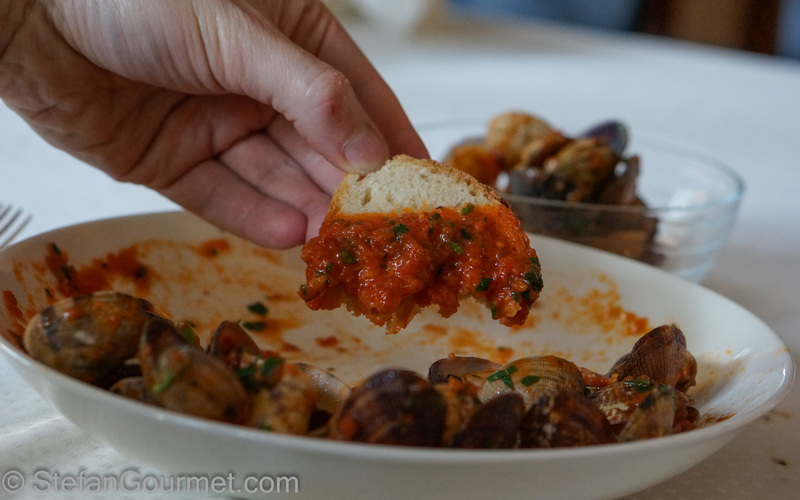 Given how flavorful this sauce is, it is interesting that in Italy spaghetti alle vongole is sometimes served with cherry tomatoes, but I have never seen it with a tomato sauce. 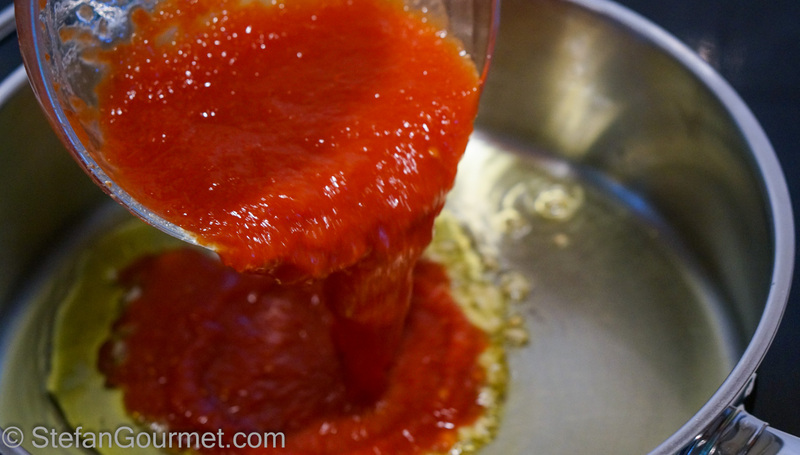 So you could serve this sauce over pasta, but for a true Italian experience you should serve it with crusty Italian bread and use the bread to mop up the delicious sauce! 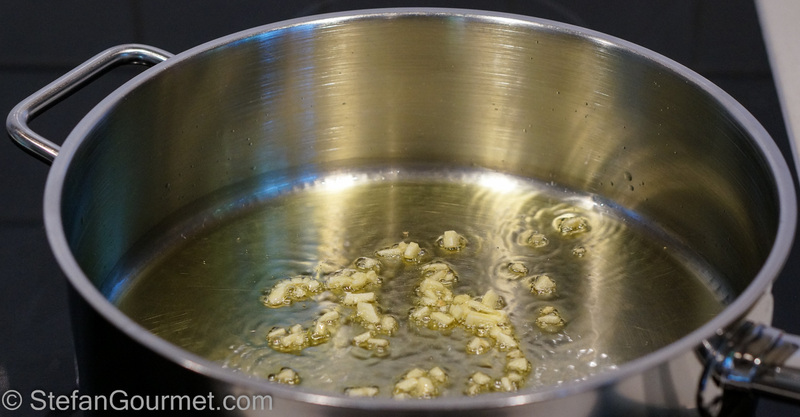 Heat the oil in a frying pan.Add the garlic. Add the tomatoes before the garlic starts to color. Cook for a few minutes over medium high heat. Wait until the clams open, this should only take a few minutes. Add the parsley and the chile flakes and stir. 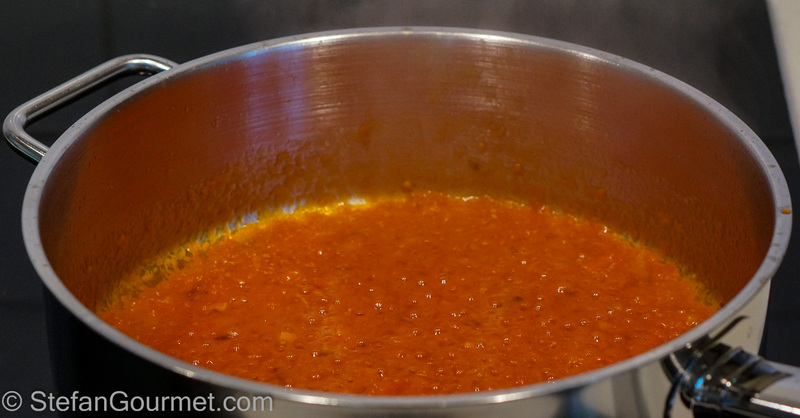 Cook for a minute or so over high heat to allow the sauce to thicken. Serve with with crusty bread. 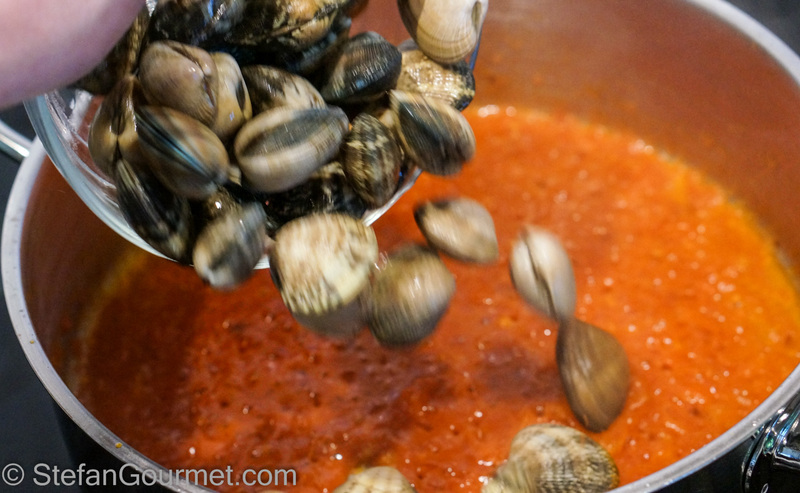 Please note that no salt needs to be added, as the vongole are very salty already by themselves. A full bodied dry Italian white with a nice minerality such as a greco di tufo is a great pairing for this. This pasta with radishes is a good example of using everything, as the greens of the radishes are also used. 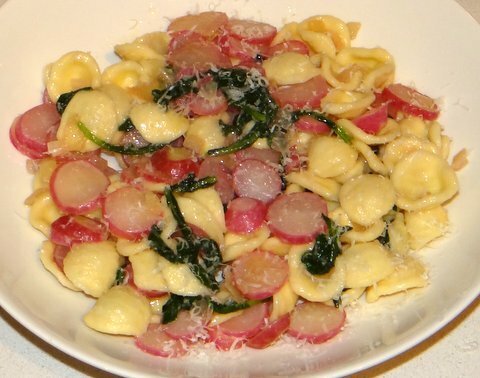 When radishes are cooked, their flavor is tamed somewhat and works quite well with pasta. Simple and perfect and I can smell the dish from here! Glad to have the links to previous similar dishes also: at least one there I have not encountered!! Perfection on a plate, Stefan. 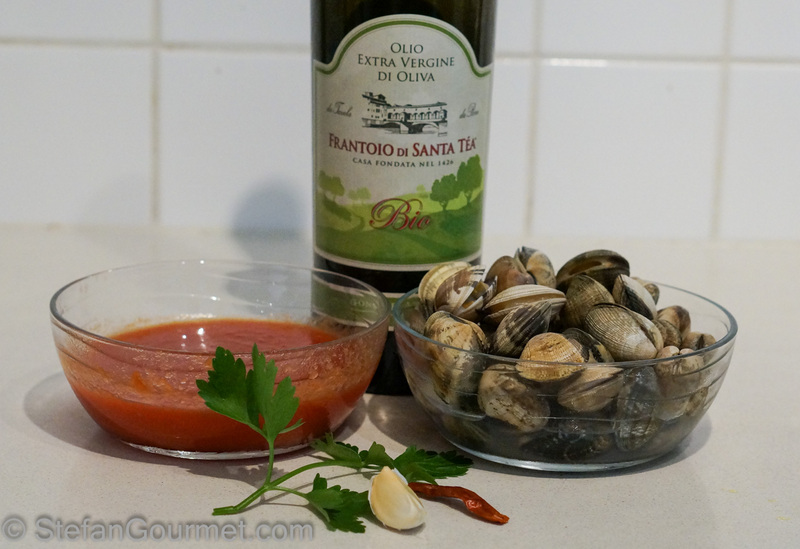 How lucky that you can get Italian clams. Vongole are on my “must eat” list whenever I get to Italy. Lucky me, my Zia served them as part of my welcoming dinner. Little did she know how much I like them and that she could not have prepared a better dinner. Excellent, simple and delicious looking food Stefan. Very impressive. I like the 10 minute prep!